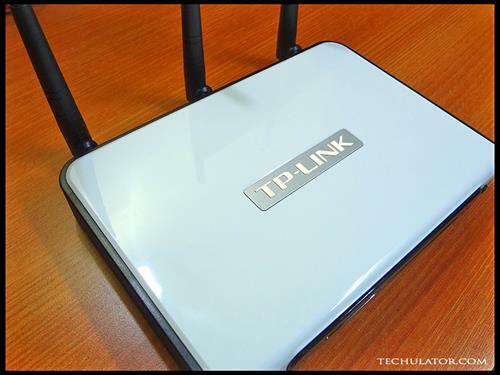 In this article, we will review TP Link's 300Mbps wireless n router, TL-WR940N. Full specifications, actual performance along with its features to help you make a better buying decision are discussed along with my hands-on review of this device. 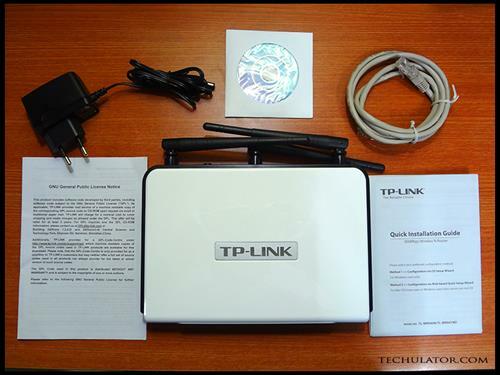 TP Link is a very well known brand in wireless and networking hardware. 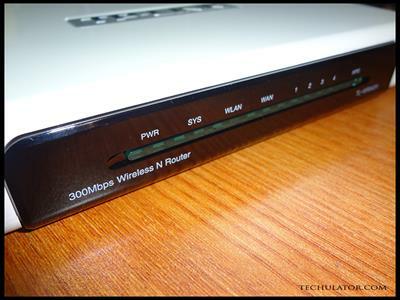 We got our hands on their 300Mbps wireless N router, TL-WR940N that is supposed to give great coverage with three antennas and reviewed its actual performance in real-time. 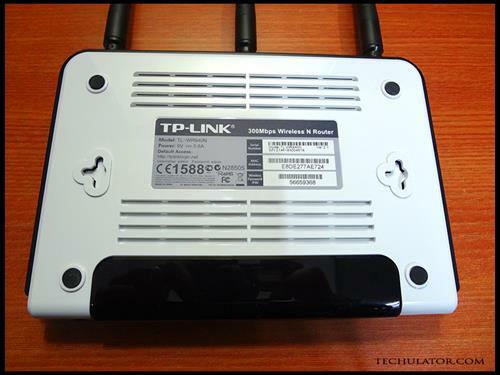 The TL-WR940N is a wireless N router that works on a single 2.4GHz wireless band. The wireless data rate that is can support is upto 300Mbps. This router weighs around 150 grams and has dimensions of 200 X 140 X 28mm (WxDxH). It comes with a 3 year warranty and offers phone as well as email support. It is compatible with Windows (Vista, XP, 7, 8) Mac and Linux. It comes with 3 fixed antennas that can be adjusted around to get that perfect wireless range. 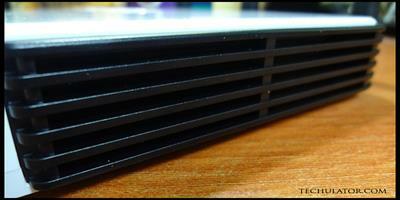 On the sides are air vents that help keep the router cool. At the bottom, you would find necessary router information like the serial number, Mac address, Wireless password/PIN, along with the default login credentials for logging onto its firmware. The bottom also has 4 rubber beads that gives it a firm grip on a flat surface and also 2 screw/nail sockets that can be used to mount it on a wall. It also offers features like WPS, IP QoS, WDS and Parental controls that we will discuss in detail in this article. Security features: Encryption - WEP, WPA/WPA2, WPA-PSK/WPA2-PSK; Mac filtering, SSID control, SPI firewall, Parental controls. 6. General Public Licence Notice. To begin with, this router looks great. It feels sturdy and has been built very well. The buttons on the router do not feel flimsy like some of the others I've used and gives you a premium feel. Setting up the router is very easy with the help of the CD that it comes with. I was able to configure the router within 10 minutes and was able to access the internet wirelessly on all my mobile devices. If you happen to use a Mac or Linux based system, you can also setup the router through a web-based quick setup wizard, details for which are mentioned in the Quick Installation Guide that comes along. The three omni directional antennas although fixed give you great coverage all around your house/office. While testing this router, I was able to get WiFi reception even outside my house. Upon going further, I realised I was able to browse the internet upto 200-250 metres away from the router. However, once I placed the router at its usual position in the house, the coverage reduced to around 150 metres since there were concrete walls and other obstacles. Apart from browsing the internet, I watch a lot of YouTube videos. There were absolutely no issues and all videos played flawlessly. Usually, if your data rate from the modem goes down while watching a YouTube video, YouTube automatically reduces the video bitrate being played. With my previous Beetel WiFi router, I used to face this problem on an everyday basis. However, having used this router for a month now, I am yet to face this issue. 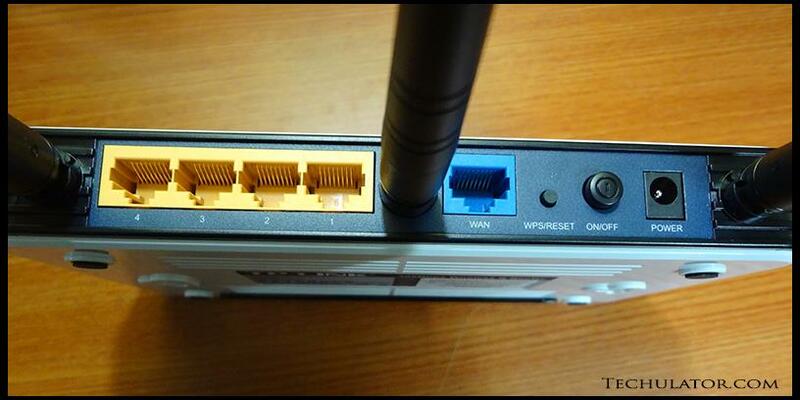 WPS: With the help of WPS, you can easily connect a new device to this router without having to enter any login/IP credentials. All you need to do is press the WPS button on the router and connect a wireless device like a smartphone to it from its settings. That's it! I tried this and it works perfectly. IP QoS: With the help of this feature, you can easily allot specific bandwidth to each device that is connected to this router. You can reduce of increase the bandwidth it uses whenever you want to. This feature helps you to divide bandwidth between various devices in order for all to utilize the internet better. WDS: In cases where you need to expand the wireless coverage of a WiFi router, another router can be used as a wireless repeater. It is this WDS feature that lets you setup another router as a repeater so that the range of your primary router can be expanded using a secondary router. The TP Link WR940N router supports WDS and will easily let you setup another router to it in order to increase its range using a repeater. Parental Controls: As the name suggests, you can easily setup parental controls to restrict a particular PC or mobile device from accessing certain websites/content. This feature can also be used to restrict employee internet access in an office. You can use this feature by logging onto the router's setup page (http://tplinklogin.net) and selecting 'Parental Controls' tab on the left. Please note, if you need to install DD-WRT on this router, you would be happy to know that this device features in the list of supported routers. However, TP Link does not offer warranty support and technical assistance if you install any firmware other than the default one. Apart from all the good features this router offers, there are a few average ones as well. Antennas: Although, this router comes with three antennas attached to it, they are 3dBi each which is a downer. The fact that they are fixed and cannot be replaced with better antennas is also an average point. No doubt, the reception and coverage of this router is great, but I would've preferred to either have two or three 5dBi antennas instead of 3dBi each. (UPDATE) Upon further research, we came to know that TP Link has two models in this series - WR940N and WR940ND. The 'ND' model comes with detachable antennas whereas the 'N' model we are currently reviewing does not. So, if you are looking to change the antennas to better ones in the near future, consider the 'ND' model instead. USB port: Call me a pessimistic critic, but I expected this device to come with a USB port at the back so that an external 3G modem can be connected to it to share the internet connection. That would've made this router amazingly value for money. Availability: With most customers switching to e-commerce websites for all their purchases these days, the availability of this router only on a few e-commerce websites is a negative feature in my opinion. This may not be the latest device offered by TP Link but is one of their good ones. Price: At the time of writing this article, this device is priced between INR 2500-3000 ($42-$50) on the Indian ,a href="/articles/eCommerce-Websites.aspx">e-commerce websites. Internationally, this device is easily available for as low as $30 (INR 1800). If you are looking to buy this device, I would suggest you to buy it from offline retailers and your local brick-n-mortar stores. Overall, I was very impressed with the features this device offers. The speed, build quality and the ease of installation make it one of the top wireless routers out there. The exceptional range, reliable connection and the ability to control bandwidth for various devices are some of its pros. People with large homes/offices should definitely have a look at this wireless router and DD-WRT users would for sure love to get their hands on this device. Please let me know if you have any questions or comments on this router and I will try my best to answer them as soon as possible. Please feel free to Subscribe to our YouTube Channel for regular updates and technology related videos, you can also connect to us through our Facebook and Google Plus social circles.